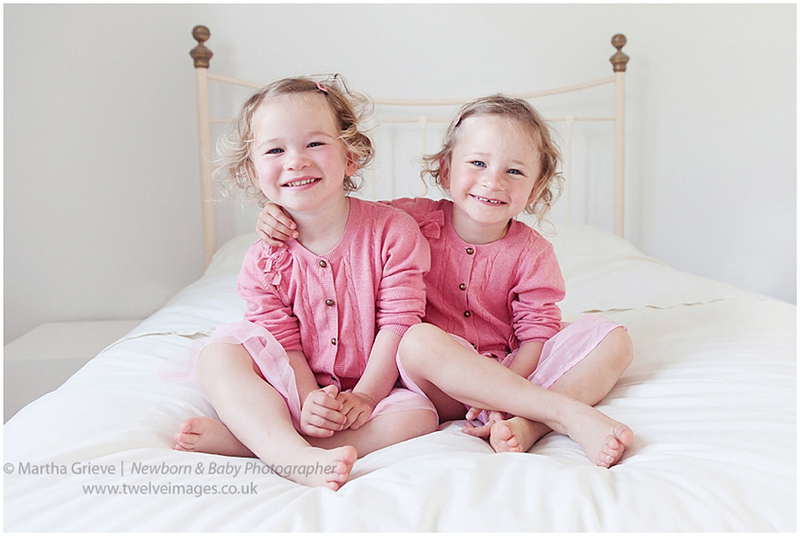 I had a lovely morning with twins Sophie and Emma for their mini photo session. They were such sweet little girls, both full of character. Easing into the photo shoot, they had a walk around in Mummy’s shoes which they really enjoyed. Giving them freedom to enjoy their surroundings is important to capture those natural expressions. We photographed up in the loft where there was beautiful light. We had some fun singing, playing and lots of laughing. You need to work quickly especially with twins. Turning everything into an enjoyable game. When it came to the individual photographs, I would have one of them stand next to me to be my special helper. It is important to make sure both are included somehow in all photographs otherwise they tend to become bored and can start playing up. Having a portrait together is always fun and believe me they did! Every time they heard the camera click they would throw themselves backwards in fits of laughter! I had to work quickly. I started to make really loud noises so they wouldn’t hear the ‘clicking’ straight away, buying me some extra time. Sophie enjoyed diving up close towards the camera. Emma enjoyed pulling her craziest facial expressions. I then began to sing the ‘sleeping bunnies’ song to keep them settled in one place, what was I thinking! Sophie decided to pretend she was asleep and would not open her eyes until I had finished the song. It made quite a sweet photo in the end. An absolute pleasure to photograph. 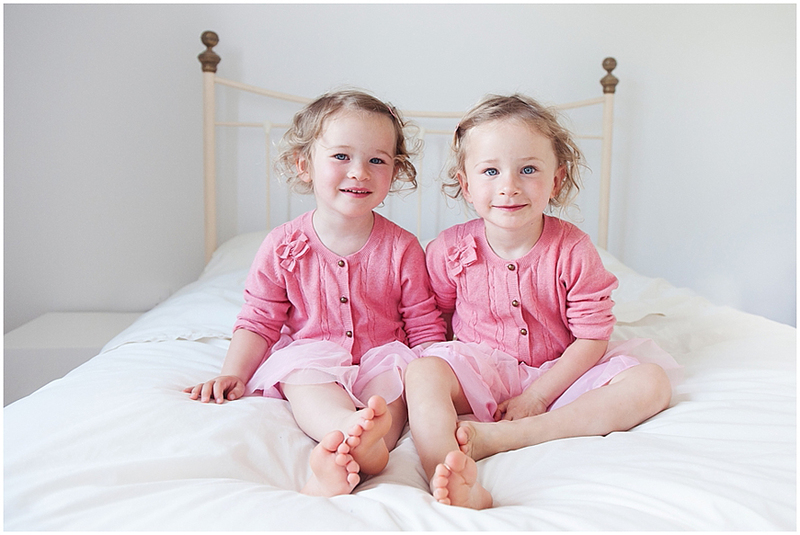 Enjoy the photos from Emma and Sophie’s ‘Clapham mini photo session’.